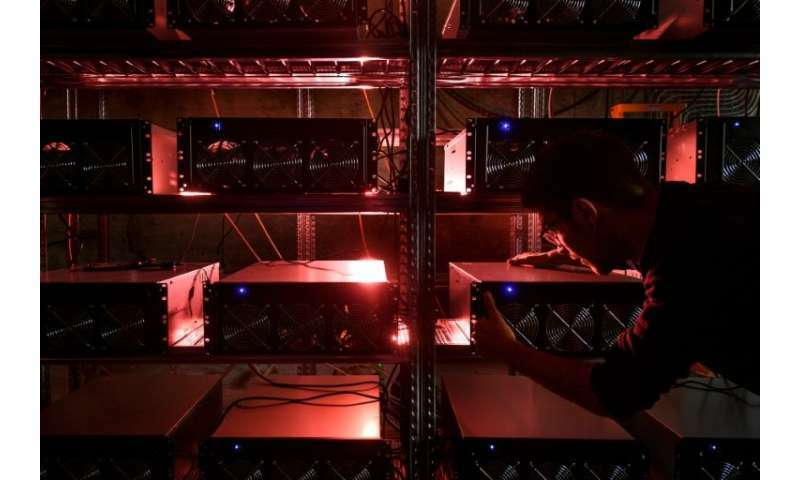 "Any disruptive shock—be it technology, economic or political—tends to result in winners and losers, and blockchain is no different," Colin Ellis, managing director for credit strategy at Moody's, told AFP. "It could reduce costs for banks but at the same time could foster more competition that would put downward pressure on fees." A shared, encrypted "ledger" that cannot be manipulated, blockchains offer the promise of secure transactions that allow anyone to get an accurate accounting of money, property or other assets. But a recent report by Moody's found that while blockchain technology could slash cross-border transaction costs for financial institutions, it would likely ramp up competition among banks. "There will be winners and losers, the losers will be those who do not make any changes." "One Pay FX uses blockchain-based technology to provide a fast, simple and secure way to transfer money internationally—offering value, transparency, and the trust and service customers expect from a bank like Santander," the bank's chief executive Ana Botin said at the launch of the service. "The technology is still at a relatively early stage" so "it is too soon to know what the final impact will be," said Ellis. "But it could ultimately make banking cheaper and quicker for consumers," he concluded.